Struggle with shifting sheep? Rams getting rammed on stairwells? 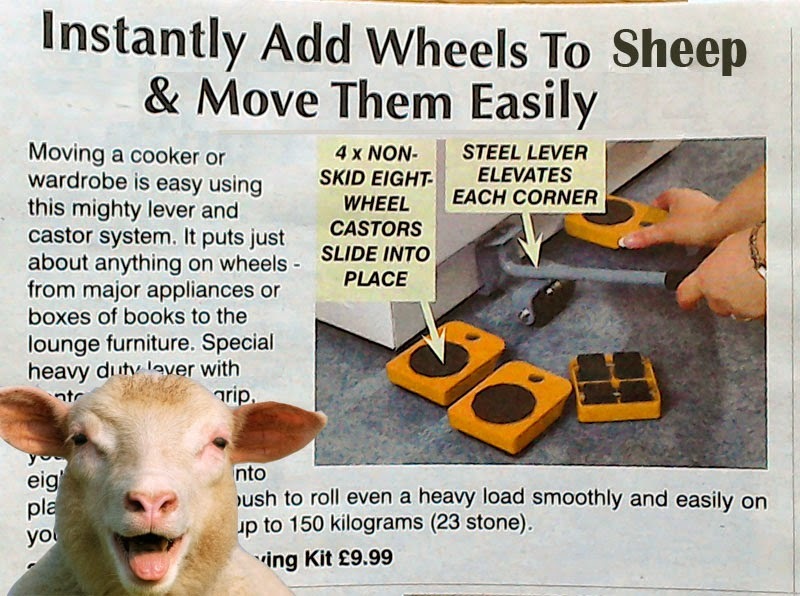 Then suffer no more with our easy glide sheep shifting system with optional remote control. 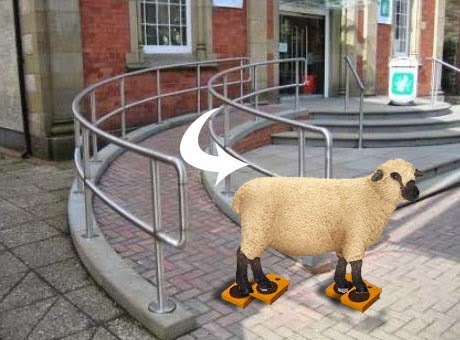 Simply slip one of these uniquely engineered items under each leg and your sheep will be as slippy as a slippy thing from slipton. Watch them glide with ease down streets, supermarkets and even motorways! Our unique lever system takes the strain out of fitting and our lifetime guarantee gives you piece of mind that you can still shift sheep effortlessly in your old age. Comes complete with floating sheepdog kit. On a diet? No time to prepare real meals? 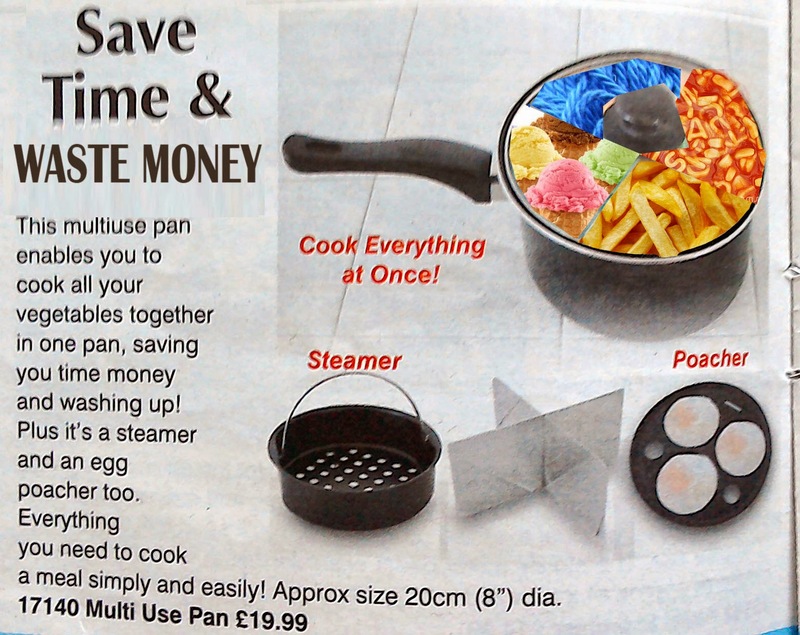 Don’t pay for expensive ready meals just try our time saving Multi-Pan. Now you can cook chips, ice cream, alphabetti spaghetti and even wool – ALL AT THE SAME TIME! A sturdy stainless steel divider provides four unique cooking areas to fill with your dream meal. Cook for the kids, the husband and the dog all at the same time. Laugh as they get mixed up and mop up the tears as they spend the night on the loo. Free steamer, steam anything and everything, make your own shrunken heads – it’s so simple! 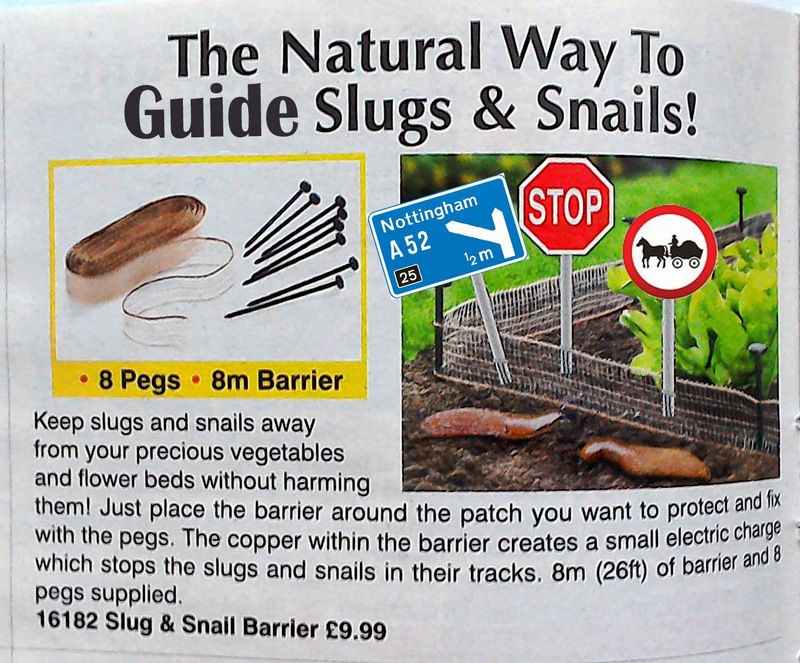 Sick of snails ruining your garden? Slugs slithering on your salad? Our patented sign system(tm) safely guides slugs and snails to a neighbours garden. Guaranteed 100% reliable (as long as slugs and snails have passed basic literacy) Bonus signs deter horse drawn carriages and offer helpful directions. Old? Like Rock? 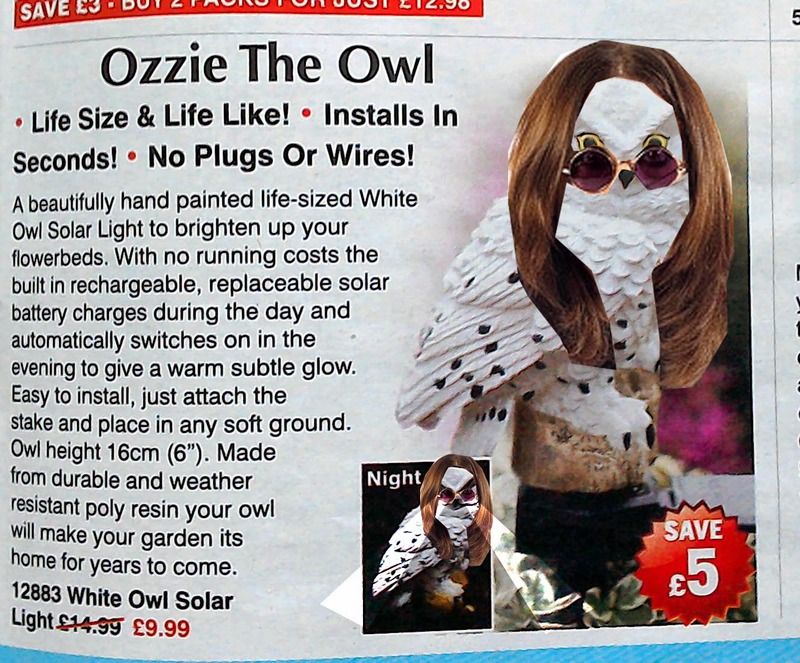 Then how about the devil of rock music himself lighting up your garden with ‘Shout At The Moon’ with our fabulous Ozzie Owl sculpture. You can be assured no thought at all has gone in to its design and every detail has been recreated in the finest plastic. Be the life and soul of your neighbourhood as moonlight automatically activates the laser eyes whilst an ear piercing ‘hoot’ will curdle the blood of your friends and pyrotechnics scorch your lawn. All our latest bargains are available from our website at www.cobblers4coins.co.uk NOW! Order today and receive before Christmas 2015!